Though I won't be jumping on this train any time soon, it doesn't mean I'm not loving it. Cause I am, believe me. And I wish I could go that route with more of my home decor, it would also mean buying a whole lot of pink things my husband might actually hate me for. 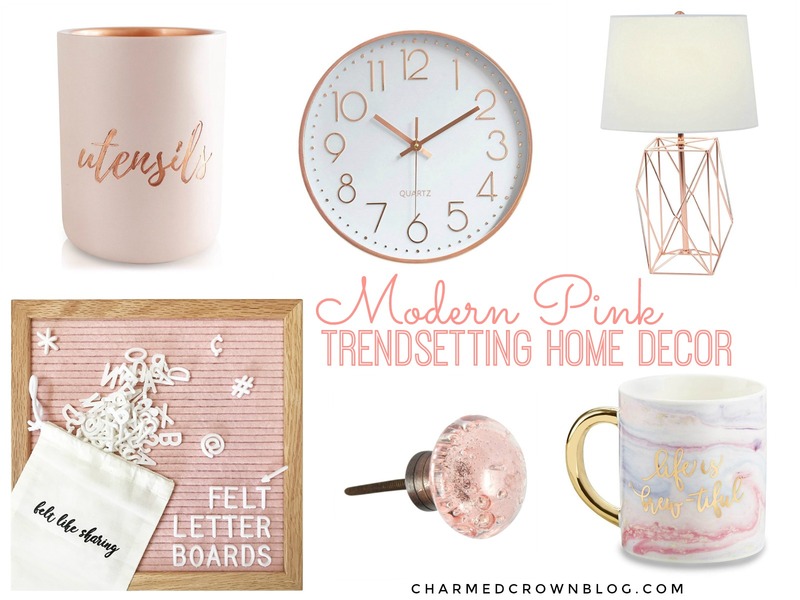 It doesn't mean I can't obsess over it and share my favorite Pink Home Decor items with you guys! Possibly even live through of few of your Instagram feeds showing off all that PINK home love! I might not be able to bring it inside my home in big statement pieces either, but I love that there are a lot of smaller more subtle ways of adding some pink, blush or rose gold items to obsess over and possibly even purchase without anyone noticing. Below are just some of my favorite Instagram feeds as of lately, whom I've been obsessing over and how well they incorporate their love for pink home decor! Thanks for stopping by and for never missing an opportunity to go shopping!! This post contains affiliate links. I may receive a small commission for any sales made through them, but the cost to you does not change.